Virgilio Querubin called as the new bishop of the Terenure 1st Ward of The Church of Jesus Christ of Latter-day Saints. 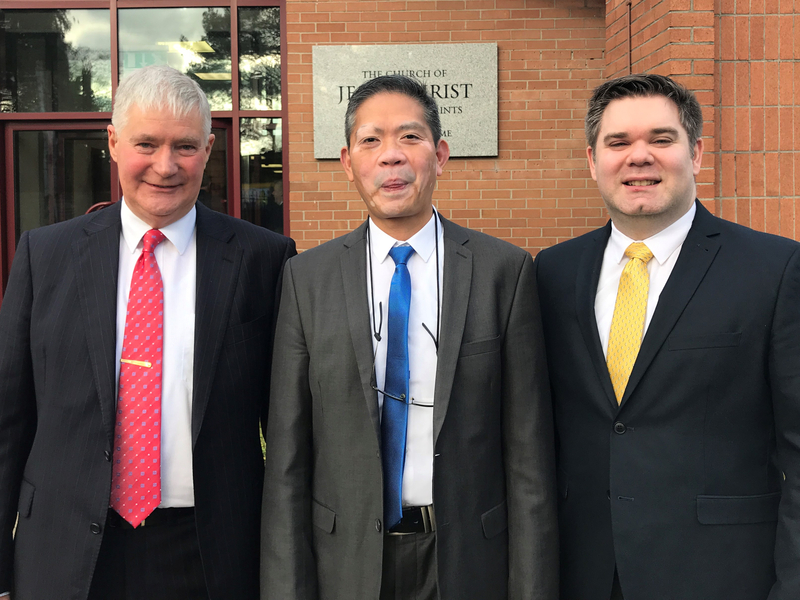 Virgilio Querubin has been called as the new bishop of the Terenure 1st Ward of The Church of Jesus Christ of Latter-day. Terenure 1st Ward Bishopric. (L to R). 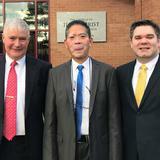 Brother Charles Keogh (1st Counselor), Bishop Querubin and Brother Anthony Shannon (2nd Counsellor)© 2018 by Intellectual Reserve, Inc. All rights reserved. Bishop Querubin was baptised a member of the church when he was 17 years old. He is married to Lisa and they have 4 sons, Mosiah (28), Aber (27), Boyd (26) and Adam (15). Both he and his wife have served full-time missions. 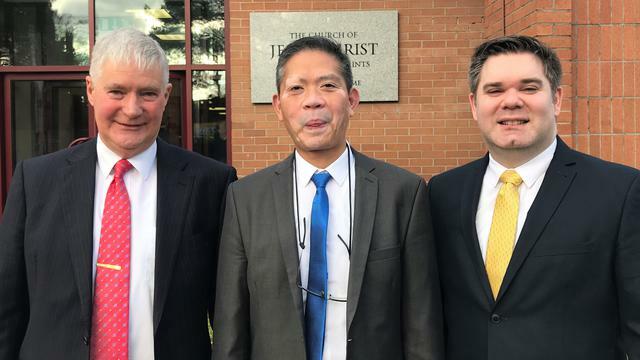 Bishop Querubin was called to serve a mission for the church in the Philippine Baguio mission and Sister Querubin served in the Philippine Manila mission. Their three oldest sons have served missions and for a period all 3 were serving at the same time. Bishop Querubin works in the I.T. sector as an Access Management Administrator. He moved into the Saggart area of Dublin in 2006 and became a member of the Terenure 1st ward in 2017 when the ward boundaries were changed. Bishop Querubin said that he feels both excitement and apprehension with his new calling. He said his goal is to help strengthen families in their efforts to be more focused on the Saviour and living more Christ like lives. Brother Charles Keogh was called as his 1st counsellor and Brother Anthony Shannon as his 2nd Counsellor. Read Previous Article  Russell M. Nelson is the new president of The Church of Jesus Christ of Latter-day Saints.